Honda Brio Diesel has been caught testing yet again and this confirms how fast Honda is working upon its diesel engine models and the eagerness of Honda for bringing in the diesel products in India. The way we brought to you the Video yesterday of Honda Brio Diesel, yet again the car is caught testing. The very pronounced clatter that the diesel engine of the Brio is producing is a dead giveaway about the engine option under the Brio’s hood. The Brio could use a three cylinder, 1.2 Liter turbo diesel engine, that is a downsized version of the 1.6 Liter i-DTEC unit that Honda recently unveiled as a part of its new range of EarthDreams turbo diesel engines. 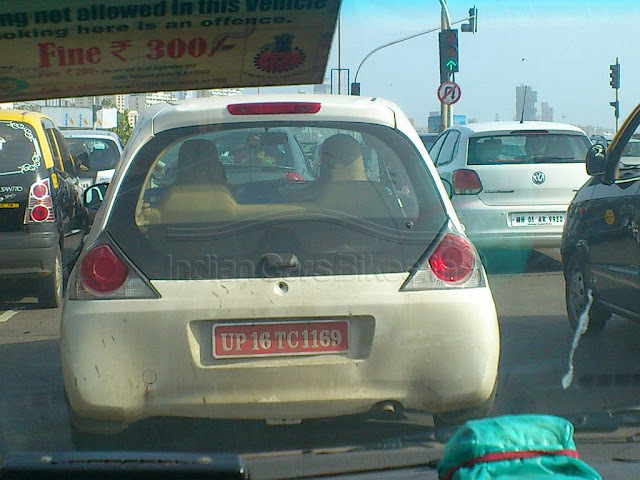 The Brio diesel that has been snapped up has been de-badged although the car has not been camouflaged. However, the second video of the Brio diesel surfacing less than a day after the first video broke cover, replete with diesel clatter, only gives credence to the theory of a diesel engine nestling under the Brio’s hood. Honda has however not yet open its mouth on any further information. Stay tuned till we get more information for all Wheel-O-Maniacs.